Just listened to the bedroom scene that took place the Thursday morning before premier of the video for "Golden". The scene is in chapter 15 of "Entwined with You", Gideon tells Eva how he wants to be with her and "I'll make you happy the rest of your life." That conversation reminded me why Crossfire is special. Sylvia has written some of the most romantically moving words spoken by a male character. Sylvia Day is not writing the screenplay. She has said that. It will be very important for the screenplay writer who does bring these characters to life on television to remember Gideon the actor must speak like Gideon in the book. Didn't i make you feel like you were the only man Ã‚Â¡Ã‚Âº yeah! Take another little piece of my heart now, baby.Oh, oh, break it! You know you got it Ã‚Â¡Ã‚Âº whoahhhhh!! I know other places in the story are good too but the line "Yeah, out on the street" really made it fit that scene. That is my absolute favorite scene of EWY. I have read it numerous times. It is so intimate, passionate and riveting. It's GidEva at their obsessed best. Sylvia outdid herself on that scene and many others of course but that one is special. That's why you can't get the books out of your head!! . She also gave Jax some pretty romantic words in Aftershock. Have not read that one yet. Now I look forward to that book! Watching Downton Abbey and thought Dan Stevens who plays Matthew Crawley would make a good Jean-Francois Giroux. As soon as I read Brett with the tattoo sleeves I thought of Adam Levine and Maroon 5. Â He's older, 34, then Brett but I think he could pull it off. Can't wait for Aftershock too!! Have you two checked out the other thread? No where do you find it? I love Lana Del Rey, she'd be pretty good. I think that Mumford and Sons song Lover's Eyes would be good for their break up montage lol. Today I read an interview that Sylvia gave. She discussed her expectations regarding the production of the Crossfire series by Lionsgate and that she expected they would include all the scenes necessary to present Eva's and Gideon's stories. Being mainly familiar with American network television, presenting a significant amount of the content of these books will be difficult. 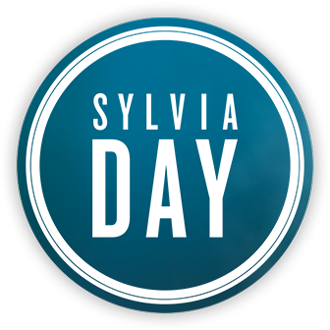 I understand cable networks are more open and Sylvia stated she expected the series would be made for cable television. She recommended watching The Tudors with Henry Cavill and Games of Thrones as examples of well done television. In the interview, Sylvia mentioned the limo scene as being pivotal because it introduces so much about the main characters. I think the flight to the Caribbean and the scene in the Vidal library along with the shower where Gideon helps Eva work through her fears after her nightmare are also extreme important to be produced. Sylvia has always said in every interview that the Cable series of the books will be in keeping with the books so we must go with what she is saying. Those scenes will be difficult to get over and yes Cable companies are a bit more relaxed. Â The Tudors was a UK Production and living in the UK I know that we have a watershed time where there are no sexual or abusive scenes allowed to be shown prior to 9pm but after that is fine, Tudors was done by a cable company and therefore the production style was a bit more relaxed and I think this is how it will be shown by Lionsgate. Â As this is still ongoing I don't think there is any point to speculate what will be done or acted out until it goes into production. Since Crossfire not only is a wonderful love story but a presentation on the effect of childhood sexual abuse, perhaps Lionsgate could include a public service announcement. Gideon spoke of the statute of limitations preventing him from getting justice against Hugh but now the New York legislature and those in several other states have or are seeking to make it easier for victims to pursue justice as adults. "At Last" feels like a perfect song for the first dance of Eva and Gideon at their New York wedding. Love Â that song. Â The Etta James version is the best. Â I don't know one wedding where this hasn't been played. Â It was my daughter and son-in-law's first dance. Â Perfect. I might be behind on the news, but I am a bit confused.Â Some people have referenced that Lionsgate is making a movie from the Crossfire series, but I thought it was going to be a TV series.Â Also has anyone heard if/when production starts? Agreed!! I post on both but since I really, really want Lionsgate to think about this I put it here.